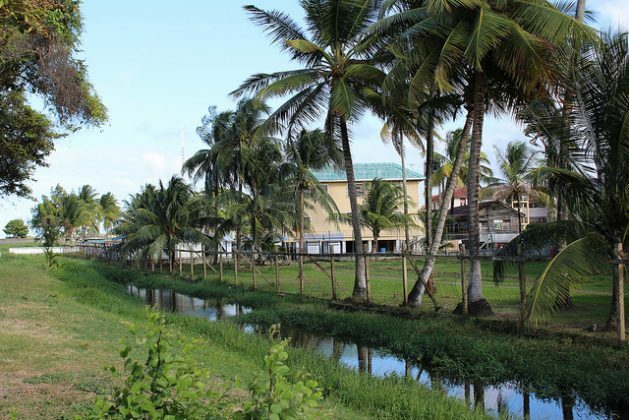 GEORGETOWN, Mar 26 2019 (IPS) - In 2008, the then president of Guyana, Bharrat Jagdeo, established within the Ministry of the Presidency the Office of Climate Change. Guyana became the first country in the region to do so. A year later, Jagdeo set out a vision to forge a new low carbon economy in the Caribbean nation. Jagdeo’s vision was translated into a national strategy as outlined in Guyana’s Low Carbon Development Strategy (LCDS) after more than a year of review and consultation within Guyana, coupled with input from climate change negotiations at the United Nations. The aim of the LCDS was the achievement of two goals: transforming Guyana’s economy to deliver greater economic and social development for the population by following a low carbon development path; and providing a model for the world of how climate change can be addressed through low carbon development in developing countries, if the international community takes the necessary collective actions, especially relating to REDD+. 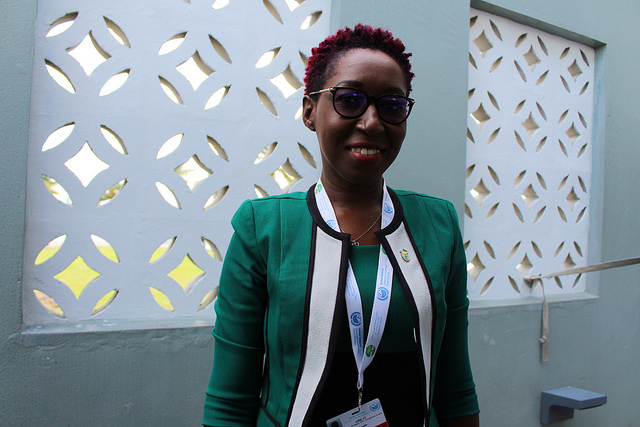 Head of the Office of Climate Change Janelle Christian told IPS that the office continues to fulfil its mandate even though there has been a change of administration. “We have started the process for preparation of our national climate change policy,” Christian said. Inter Press Service (IPS): What is the government doing to develop national climate change strategies? Janelle Christian (JC): When the government changed, back in 2015, the new government advocated the vision for Guyana to become a green state and so the Department of Environment has been working over the last two years to elaborate the Green State Development Strategy. That strategy is looking at low carbon development across all sectors. When compared to the LCDS, which is looking at our mitigation contribution through sound management of our forest resources, the Green State Development Strategy is looking at advancing what we have started under the LCDS but also looking to maximise our renewable energy potential through the full mix of the opportunities available in that field, and also to ensure that our future development as we proceed as a country would ensure that we pursue that development on a low carbon path. IPS: How different are the strategies and plans being developed on the President David Granger administration compared with those under the Jagdeo administration? JC: We have been, and continue to work in crafting and in some instances revising some of our existing strategies so that they’re aligned with the new vision. So, what we have been working on, specifically with support from many of our multilateral partners – we have started the process for preparation of our national climate change policy. We are in the process of revising our climate resilience strategy and action plan and the output will be our National Adaptation Plan (NAP) aligned with the Green State Development Strategy main pillars. We have concluded work on the Nationally Appropriately Mitigation Action for Greening of Towns. We’ve also completed our Technology Needs Assessment. IPS: Who are some of the development partners you’ve been working with to get projects off the ground? JC: We have largely been working with existing global facilities for the mobilisation of climate finance to not only address some of the gaps and strengthen some of our existing programmes, but mobilise resources for sector-specific initiatives. We have been engaging very closely with the Green Climate Fund (GCF) and have successfully been able to mobilise what is called readiness support. The first one that we would have implemented was what is called the NDA [National Designated Authorities] strengthening through the GCF and that was with the Caribbean Community Climate Change Centre and that work has concluded. That really set the tone for further engagement and how we engage with the GCF. Since then we would have successfully worked with the FAO [Food and Agriculture Organisation of the United Nations] and we would have been able to mobilise some resources specifically through the GCF, again focusing on getting the agriculture sector ready and also working with the sector to develop a concept proposal for submission to the GCF for investment-type support to the sector given its priority. We received notice of approval from the GCF for readiness support for our energy sector – largely renewable energy and also some private sector support. Because, we know, for climate solution it requires both public and private sector investment. IPS: What else do you have going on in terms of climate change adaptation and mitigation? JC: We have advanced work for support of the president’s vision for Bartica, which was identified as a model green town. We have just concluded all of the baseline data-type studies that were required for Bartica as we get ready to plan and identify specific type investments for that community. IPS: Going forward, what would you say are the main challenges facing Guyana and other developing countries in fighting climate change? JC: Support…They talk about the developed providing support to developing. And when we talk about that support, we’re talking about financing, which is the top challenge because these interventions for adaptation to increase our resilience require lots of investments. So, financing. While they will tell you that there are lots of established climate financing mechanism, to unlock those resources is really a challenge in itself. So, then the capacity of the country to be able to understand the systems, the modalities; to be able to elaborate the proposals that would then be successful and allow for their approval – those allow you to implement. So, the financing and then the capacity in-country to unlock the financing, or the capacity in-country to have the right skill set in specialised areas, and of course we need technology also. Of course, technology requires money again. But even when you have technical support for the deployment of technology, again you have to be able to use the technology correctly. Then as a country you have to ensure that you have the sustainability component incorporated into your national systems so that those can be successfully infused as part of your operation over the long term. Those are the main things I would say for countries such as ours. How do you make a decision when you have limited finance to address the realities of what is before you?